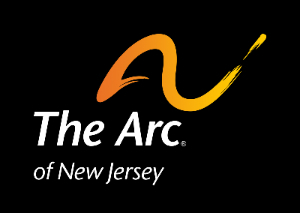 The Arc of New Jersey is the largest nonprofit advocacy organization for people with intellectual and developmental disabilities and their families in New Jersey. The Arc of New Jersey is committed to enhancing the quality of life for children and adults with intellectual and developmental disabilities and their families, through advocacy, empowerment, education and prevention. Camp Jaycee - is a residential summer camp for children and adults with developmental and intellectual disabilities. Campers enjoy games, sports, swimming, boating,crafts, dance and nature. It is a magnificent environment. Criminal Justice Advocacy - is the only one of its kind in the state of New Jersey that provides alternatives to incarceration on behalf of individuals with developmental disabilities who are defendants in the criminal justice system through advocacy, case management, education and training. Governmental Affairs - The Director of Governmental Affairs works collaboratively with the Legislature and the Administration to insure that the well-being of individuals with intellectual and developmental disabilities is a priority both legislatively and in each fiscal budget. Mainstreaming Medical Care - The Director of the Mainstreaming Medical Care Program advocates for quality health care for people with developmental disabilities and monitors and advocates for changes in Medicaid and Medicare that affect individuals with developmental disabilities. Planning For Adult Life - is a statewide project funded by the NJ Division of Developmental Disabilities (DDD) to assist young adults (between the ages of 16-21) with developmental disabilities and their families in charting a life course for adulthood. Project HIRE - provides an employment and training program for adults with developmental disabilities and provides training services designed to assist schools in developing and implementing quality transition plans for students in special education programs. Self Advocacy - The New Jersey Self Advocacy Project supports individuals with intellectual and developmental disabilities in learning the skills necessary to speak for themselves, organizing around issues of importance to them, and working collectively on projects of their choosing. Training and Consultation Services - provides staff training and technical assistance to supported employment providers, support coordinators, self-advocates, families and schools throughout the State of New Jersey. Training topics include but are not limited to, Job Coaching, Job Developing, Documentation & Record Keeping, Communication & Team Building, Management & Program Structure, & Accreditation.